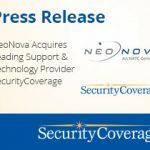 NeoNova Acquires Leading Support and Technology Provider SecurityCoverage. Click to Read the Press Release! Careers - We’re looking for the best people for careers in customer service, technical support, and IT. Click to see openings! Business Solutions - Whether your business customers are large or small, we have solutions that add value to their business environment. Innovative Solutions – Offer your customers the solutions they demand with no infrastructure investment. Proven Results – Discover why hundreds of partners trust SecurityCoverage with their brand and consumer experience. Our mission is to simplify the use of technology for users and provide world class customer service. Purpose-built solutions provide the technology and expertise to deliver consumer demanded services to your customers. Whether it’s for your customers or for your reps, we are here for you 24|7|365. Midwest-based tech support. 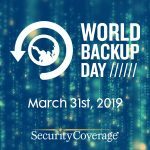 Increase performance and confidently protect your business customer’s technology environment. Our group of over 350 satisfied partners has been highly successful in delivering technology and support solutions to their customers. See some of our partners below.